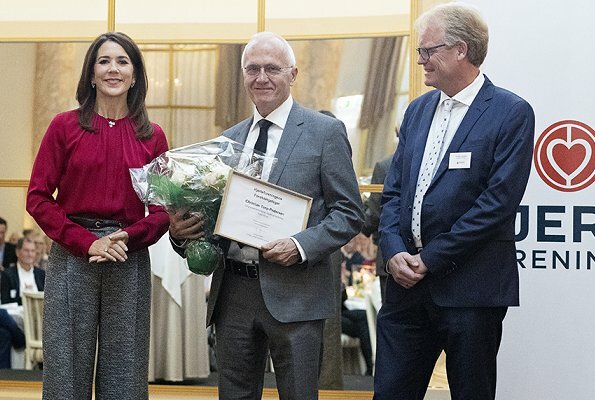 Danish Crown Princess Mary visited the Department of Cardiology at Copenhagen Rigshospitalet (The National, State or Kingdom Hospital) and afterwards, presented 2018 research awards of Danish Heart Association (Hjerteforeningen) with a ceremony held at Hotel d'Angleterre in Copenhagen. 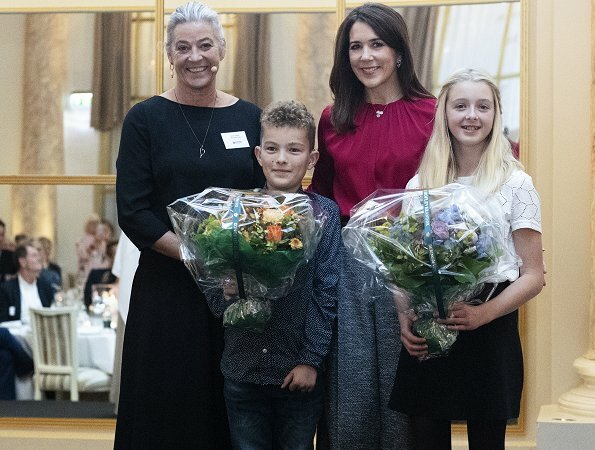 Crown Princess Mary is the patron of Danish Heart Association which is the second biggest patient organization of Denmark. Nice blouse, I don't care to much for the melange textured pants. Very worthy event for her. As Always she's looking very elegant! An innate elegance. Her whole appearance! Head to toe perfect! 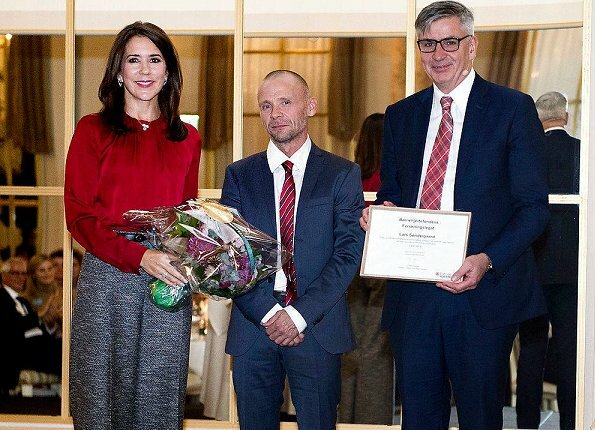 Typical Mary who works hard for Denmark. I actually like those trousers. They gives a nice autumn wipe. I also like the color and cut of the blouse, but do not care for these pants at all. They make Mary look bigger than she is. I agree. The pants do her no favours. This type of trousers were trendy in the 80s and early 90s. They didn't look good then, and they don't look good now. 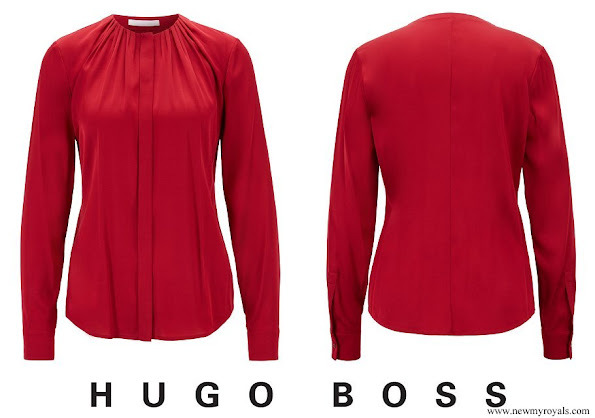 The pleats at the waist just make for a bulky look, and that isn't flattering for anyone. I don't mind the texture though, it's a nice fabric. 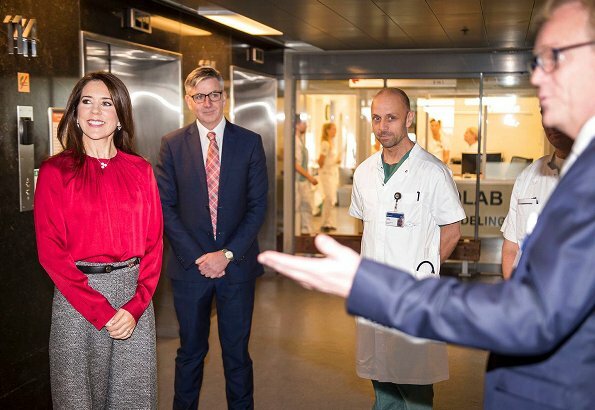 I like her hair and blouse but those pants look horrible, even on Mary. Hugo Boss is mostly overrated. Boring style. Nobody is perfect when it comes to dressing. 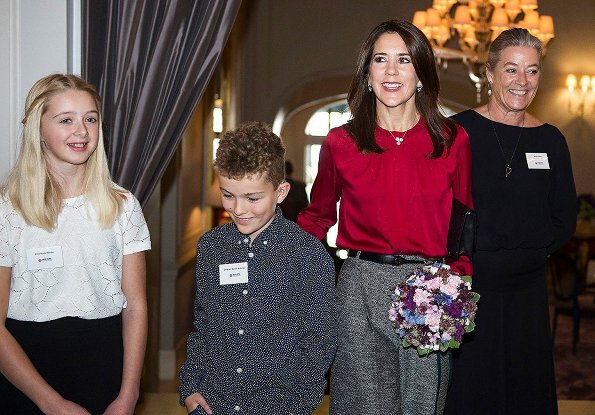 There may have been a reason why CP Mary chose the pants. 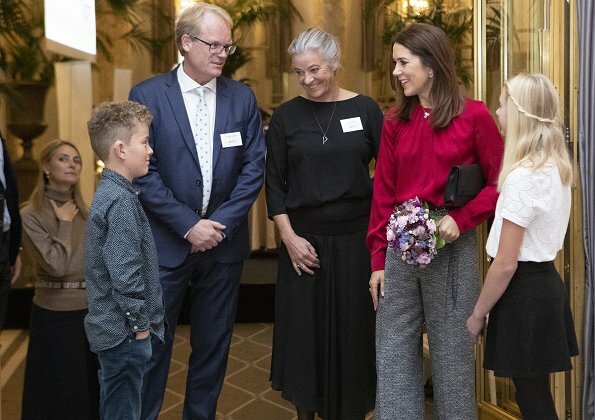 I agree they make her look bigger than she is but , let us look at the event she attended. It is a worthwhile cause. I like looking at the brighter side of life.